Why pay cash for business expenses when you can use trade money? HUNTSVILLE, Ala. - Jan. 27, 2019 - PRLog -- Whosoever Press-- The Bottom Line Barter Exchange is a full service Bartering Network that is exclusively focused on helping hundreds of local businesses attract new customers, increase profits and improve cash flow. BLB acts as a third party records keeper, providing our clients with monthly statements that reflect all barter purchases, sales and current barter dollar balance. 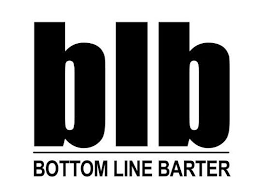 BLB provides local businesses with an alternative currency network by using "Barter Trade Dollars" instead of cash to handle your transactions. BLB takes the hassle out of collections. When you make a sale to a BLB client, transaction submits to the BLB a confirmation to transfer funds. No Bad Debt Issues! It's that simple. BLB is a proud member of the National Association of Trade Exchanges. BLB also reciprocates with more than 50,000 businesses nationwide. By reciprocating with these exchanges, we give our clients access to thousands of barter options across the U.S. The Barter Industry is an 800 BILLION Dollar Industry, with over 1100 Barter Exchanges throughout the U.S. The dollar value of domestic business-to-business barter transactions for the past 10 years has grown at an annual rate of more than 18%. To learn more about how barter will help your business and save you cash, call (941) 809-3729.